Following on from my recent posts, this is another open invitation for members of the public to watch and even participate in the Annual Reporting process that has already started at the Western Cape Provincial Parliament. Simply put (hopefully), the Annual Reporting process looks like this: Before the beginning of each financial year (FY), which runs from April to March, each Minister and the Department he/she leads presents their Annual Performance Plan (APP) and budget to Parliament, for debate and adoption. These are financial and programmatic performance commitments with targets and motivations. 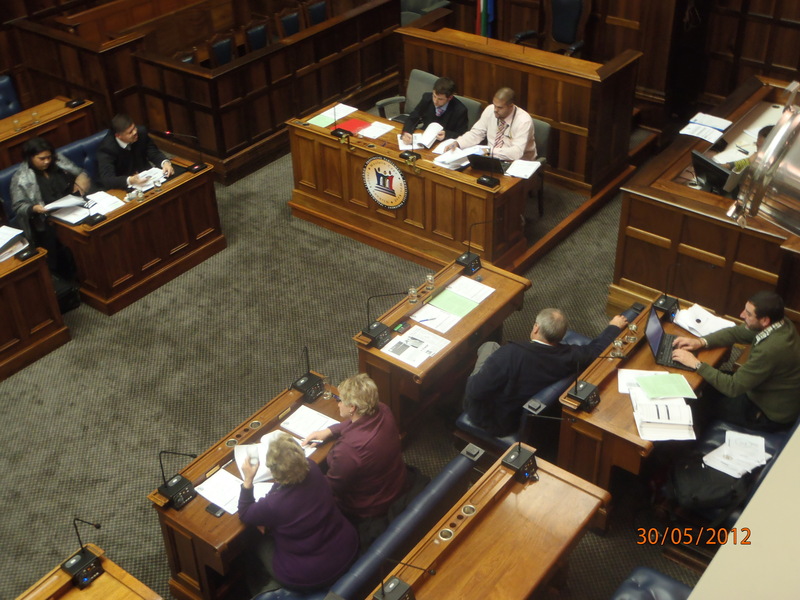 During the financial year, the elected Members of the Western Cape Provincial Parliament (WCPP) exercise ongoing oversight over their progress, we monitor their expenditure and how they are responding to the service delivery environment and socio economic environment dynamics, etc. After the end of the FY, they produce an Annual Report that details their programmatic performance on the predetermined objectives they committed to in their APP’s, and their financial performance, as audited by the Auditor General of South Africa and the Audit Committee. This Annual Reporting period is the time where each of the various Standing Committee’s convene meetings with the relevant Minister and Department, to interrogate them on their programmatic performance as compared to their APP commitments and the changing environment in communities, the Western Cape, South Africa, SADC, Africa and globally. The Standing Committee on Public Accounts (SCOPA), which is the one I have the privilege of Chairing, assesses their financial performance and how their controls have allowed, minimised or preferably prevented misappropriation of public funds, corruption, theft, and fruitless, wasteful and irregular expenditure, amongst a host of financial management and audit considerations. For us ordinary Members of Provincial Parliament (MPP’s), this period is arguably our most important. The calendar of these sessions appears below. The format is the same on each day – the Standing Committee meeting with the Minister and Department starts at 9am in the Chamber and concludes by 1pm. During this time, MPP’s interrogates the Minister and the Department on every page of the annual report (literally). At the end of the session, members of the public are given an opportunity to make inputs or to ask questions. From 2-4pm, SCOPA meets with the AG and the Audit Committee in a closed session. They give us a detailed briefing and we discuss the audit outcomes, what they found, we discuss concerns, etc. The Minister and senior Department officials including the Head of Department (HOD), are invited in at 4pm and SCOPA then interrogates them on their financial management and performance, where after members of the public are given the same opportunity as earlier. This can take a few hours, sometimes well into the night. In the past, some of these sessions have lasted 30 minutes while others have finished after midnight. At the end of this period, SCOPA produces a report with a series of resolutions, applicable to each and sometimes all departments. These are not only tabled for ongoing debate in parliament, but sent to the departments themselves for action. Throughout the year, SCOPA exercises ongoing oversight over all of the departments to ensure sufficient, appropriate and sustainable responses to SCOPA’s concerns. Some pics of these sessions will be posted when ever possible. I hope to see you here. WESTERN CAPE PROVINCIAL PARLIAMENT: 7 Wale St, Cape Town. The Chamber is on the 6th floor, public gallery entrance is on the 7th floor. ← Cape cyclist killed – help protect cyclists!